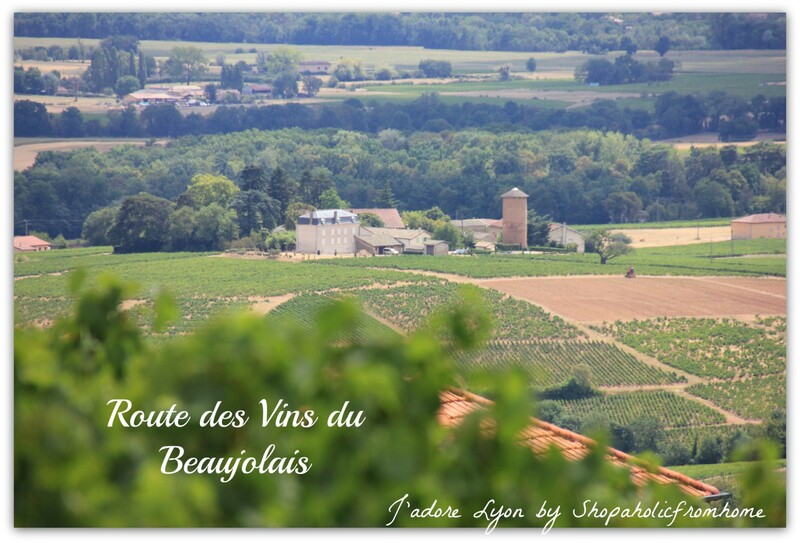 Discover the wines of Beaujolais Region. What they are, how they are made and have you tried any of them? I dedicated the whole day for the Beaujolais trip and it was very good day out away from Lyon. 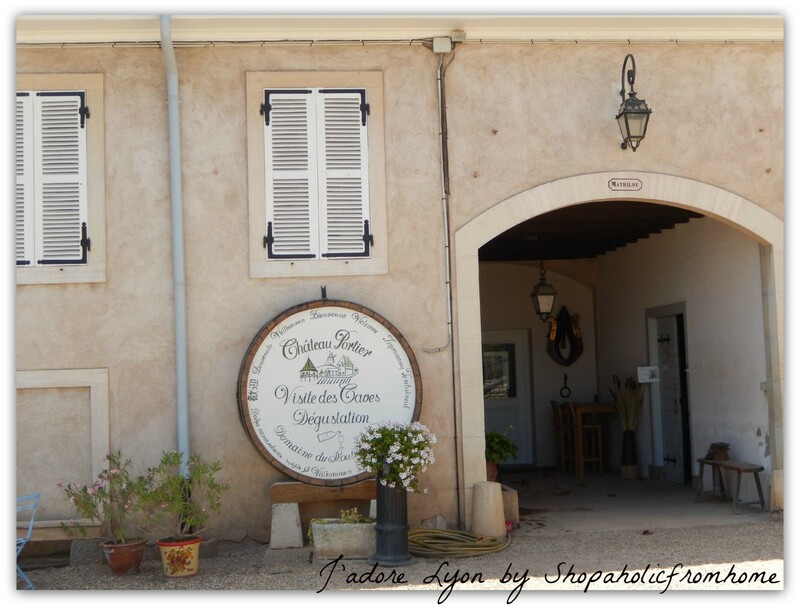 I admired the views, had many stops to appreciate the local gems but mostly I was motivated to learn about the wines…and so I did…I had a tour at the Chateau de Portier which produces wine each year and have years of family traditions carried on from generations. And once i got back home I read more and more. Now i drink the wine differently. I drink it more and more and appreciate the small, taste and the hard work put to produce the bottle..I like my wine now…is that the French influence on my Polish mentality? Anyway it is so delicious and relaxing to have a glass or two with your evening meal…I think you know what I am talking about…but while you like the wine so much, do you know anything about how it is being produced and what influences the taste and the quality of it? Well let me tell you a bit more about Beaujolais Wine. I liked learning about it so much that now I do plan Vallee du Rhone trip to discover even more types of wine and do even more wine shopping…but lets get started with Beaujolais Wine, shall we? 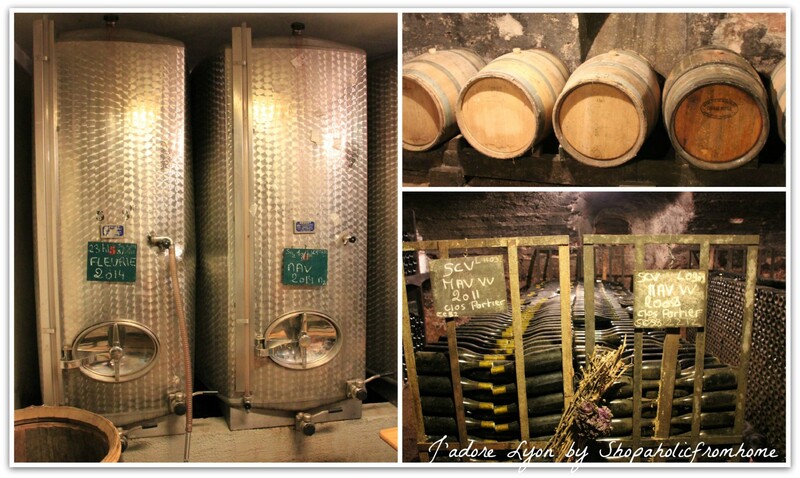 Firstly, lets look at the production process of the wine in Beaujolais. I need to mention that this process is different to others regions due to the fact that Beaujolais area produces Gamay grapes which are used to make the local wine. The winegrowers use specific ‘carbonic maceration’ method which suite the grapes the best and produces the wine. Firstly, the grapes are harvested by hands (!) and then, instead of being crushed, the whole grapes are placed in tank. The top layers of grapes pressure the bottom ones in the tank. 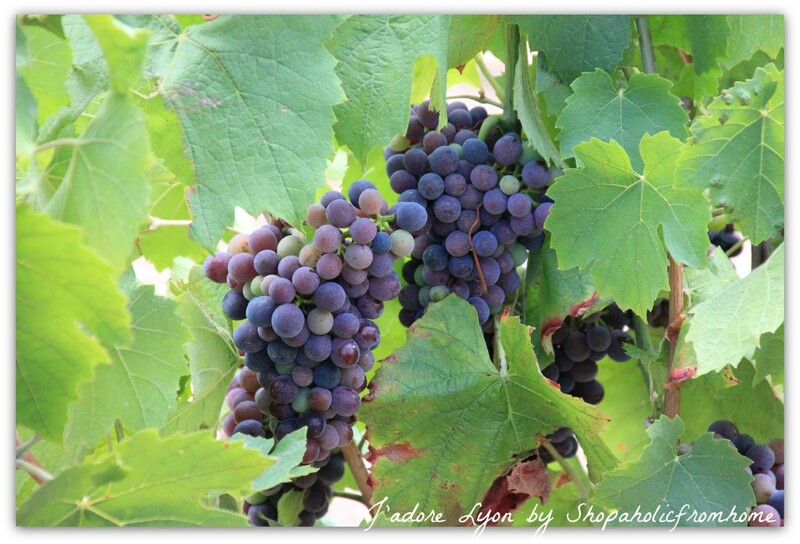 The bottom grapes start to produce the juice which comes into contact with the indigenous yeast on the grape skins. The juice starts to ferment and creates the CO2 gas which forces the oxygen out of the tank. There is no oxygen in the tank anymore. This causes an enzymatic/biochemical form of fermentation to begin inside the grape berry which explodes! After a short maceration period of around 4-8 days, the juice is racked off and the remaining juice is pressed from the skins (the ‘hard press’), then the two are blended together. From this moment the fermentation typical for regular wines will continue. So here it is sounds so complicated yet logical but what has surprised me nicely was the fact how people carry the passion for wine making from the generations on how this is a part of their life and how they know about it all, its their life…for me it sounded so difficult and stressful profession I could not imagine…each year is different, each year the wine is different…so till the very last moment they winemakers will not know if its good, bad or average…they just try to do their base and follow the tradition. Beaujolais Villages AOC – the 38 official “Village” wines which produce the wines deeper and darker in color and character that have more ‘mineral’ quality because of the soil type. It is the most northerly of the ten Beaujolais cru areas, located just to the south of the Maconnais appellations of Pouilly-Fuisse and Saint-Veran. There are 12 special ‘climats’ or vineyards that can add their name to the label. The area produces 2 styles of wine: a light, fruity, floral one that shows notes of violet and peach and a bigger, spicier version that becomes more ‘pinot’-like with about 5 years of aging. Its wines are medium bodied and in need of a few years in the cellar before consuming. Saint-Amour’s vineyards produces large quantity of white wine mostly from Chardonnay and Aligote grapes. Named after Julius Caesar, it covers the ancient Roman vineyard sites which are located on granite, volcanic soils. That produces the wines very powerful and with the very good aging ability. The Juliénas wines have floral accents with a bit of spiciness (mainly cinnamon is common there). 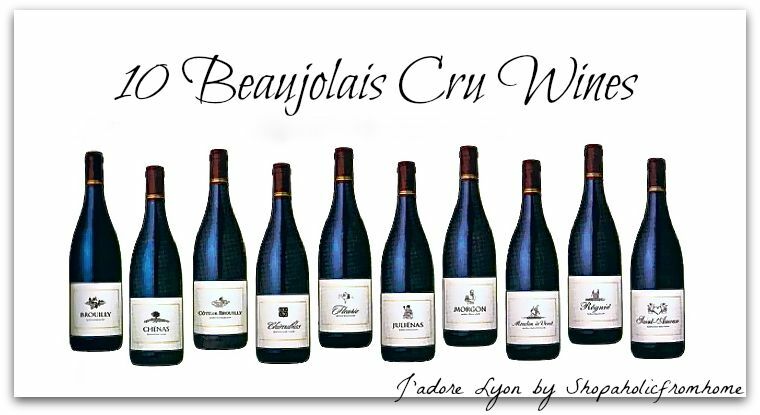 It is the most famous, well known and respected cru of all 10 and the most noteworthy of the ten Beaujolais crus. The soil of Moulin – a – Vent is rich in manganese and consists of the decomposed pink granite and soft flaky quartz. Manganese is actually toxic to grapevines. This causes much deeper, more intensely flavored wines. These are the most tannic and full-bodied wines which you can easily allow to age up to 10 years! You will be rewarded then…. It is located in the southwest of Fleurie. It is the smallest, the coolest areas of the ten Beaujolais crus and located at the highest. The harvesting starts here the latest each year. The Chiroubles wines are – silky, delicate, elegant and lighter bodied with the aromas of peaches and raspberry mixed with Lily of the Valley and baking spices. It is a subsection of Brouilly Cru and it creates its own Cru. Mount Brouilly has a volcanic soil which results in production of wines of a unique flavor and delicate minerality. This is the biggest and the most southern of all the Cru. Its the area with a bit warmer temperatures and unique ‘terroir’. This produces the wines with the fruity aromas of jammy plum and strawberry, red currants and peach. These wines do not need to be stored too long as others. Interestingly Brouilly cru is the only one that allows up to 15% of other grapes added to the wine. And lastly, have a look at the list of 38 Official Beaujolais Villages, so you know what to look for in the shop…Enjoy! So did you learnt something new today? Are you in a hurry to go to the shop, buy few bottles and try? Go ahead and enjoy! 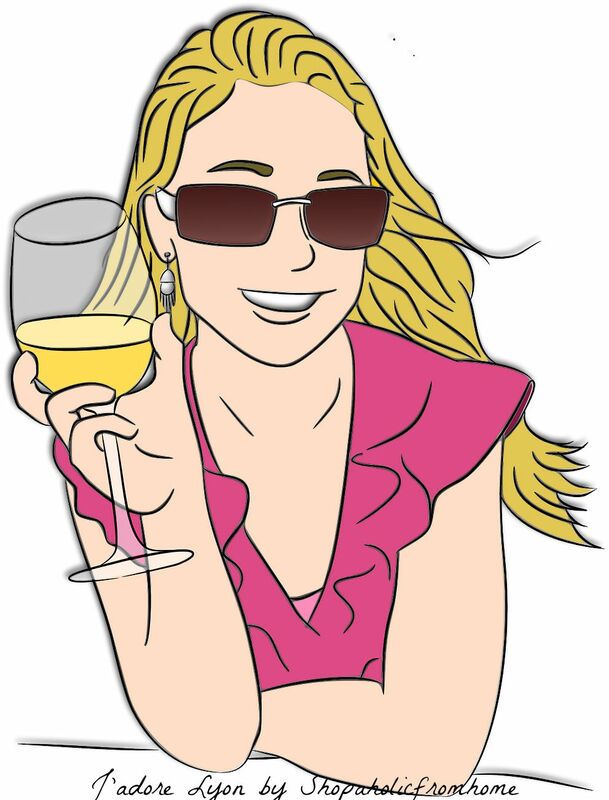 And in the meantime, if you want to discover more about wines, France and Lyon just have a look at my blog where i keep sharing the love & passion for everything (almost!) what is so French…. Pingback: How to spend a perfect day in the Vallée du Rhône?